Your Higher Selves attempt embodiment through the Ascension process, and these higher perspectives reveal what is needed on the journey, and what must be discarded. As the light level and timelines continue to divide realities, this great sorting out of belief systems is both purposeful and necessary to bring forth the higher realities of pure unity consciousness. Our Gateway of February 22 – 25th, just prior to the trigger point of the Solar eclipse on the 26th is a choice-point for the larger wave of light anticipated around the March Equinox. We still have intense timeline flux; many primary and secondary timelines are still adjusting to the collective vibration. Our conscious choices, actions, thoughts and emotions greatly affect collective outcomes. While those aligned with the Mastery experience tremendously affect the raising of the collective vibration, and make those timeline experiences available for all, the rift between experiences can only grow so wide before they divide. This is why Gatekeepers have been focused on the Solar aspects of the new grids, awakening of the Solar temples, and opening pathways through the SUN with the higher Councils of Light. As you know, we have Master-level transmuters In-Carnate on this planet, taking a huge load off the collective and Gaia. 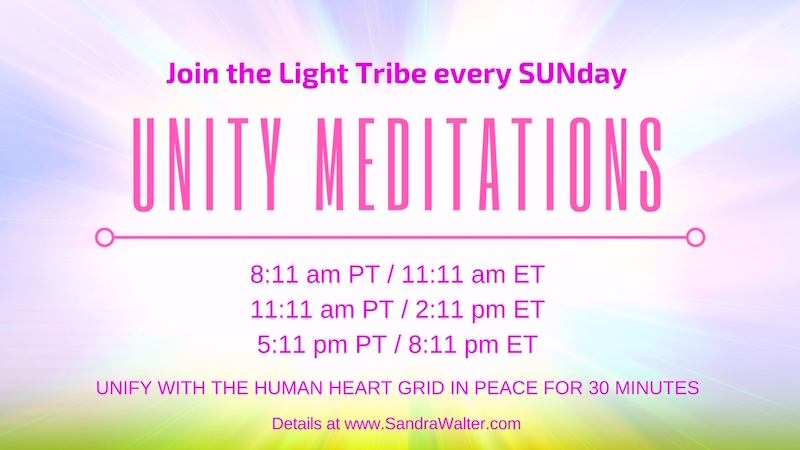 To those dear In-Carnates, this is an opportunity to shift fully into new creations which support the next levels of light. In brief, if you have not shifted to the freedom, creativity and expansiveness of the higher trajectory, now is the perfect passage to do this, consciously, and abandon the old Self’s lower interests, beliefs, habits, actions, words, thoughts and emotions which are not energetically supported by a higher experience. For those engaging with higher trajectory of Ascension, this is when deep choices about the trajectory of your personal path, your service work, the creation of the New self, and the emergence of the Higher Self must be examined within the context of this new light. All the work that has been done to get us to this point of the Shift (well done, Beloveds) is complete. Now we reevaluate in this new light. Many of you experienced a profound death of the old self as the timelines shifted in September. You are still receiving a deeper understanding of what that meant for your personal path, your service work, your lifestream trajectory, and the higher trajectory of global Ascension. Great acts of clemency and forgiveness were utilized in January so that the collective could receive some relief from the collective angst from this timeline shift. As you break your addictions to drama, concern, or worry about the external, and shift to heart-based action, empowerment and divinity, you resonate with the higher trajectories of the Christed timelines which deliver peace and opportunities for global divine alignment. While it did take a few months for many to realize what is unfolding, and integrate that realization, we now move forward with more expansive creations with this next influx. Remember this is a collective effort, so dream your largest creations, plan your collaborations wisely, and consciously release the old design of Self. The new templates of Self will receive a significant boost with the Equinox, as will Gaia. Remember that the heart is infinite as you play with the finite constructs of the mind level. As the frequencies emanating from Gaia support pure creator beingness, the responsibility becomes yours; how you direct that energy for both your personal path and your service work. Practice responsible creation, and do not ruminate or stagnate in the old timeline energies as they drop away. Move forward with clarity, joy, and an open heart because so much is becoming available to us. The energies are challenging to the mind and the emotional levels because that is what affects the collective Ascension the most. That is where the most distortion takes place, in beliefs, emotions, judgments, and thought forms. They become triggered by the pure light coming on to the planet, and now from Gaia herself. Thoughts and emotions are directly associated with DNA activation. You know this if you are studying Ascension or spirituality; you change the biolandscape of your body vehicle and energy fields to receive the truth of Love. You feel the freedom of this new light because you are creating ways for the light to enter. DNA is our key to shifting dimensions. In order for the DNA to reawaken, re-bundle and etherically reconnect, it cannot contract into old thought forms, habits, addictions, or beliefs about the self. This is why self-love, love of Source, and love of all of Creation is vital to the Ascension process and to restoring, reactivating, and ascending the DNA within you. Divine crystalline HUman DNA is unique. We have access to pure Creator beingness, and to Source. We are creating a Galactic Legacy by learning, teaching and setting forth creations which demonstrate the finer capabilities of HUman DNA. As you Ascend, you might see the spiral of the helixes surrounding you, or entering your Ascension column. Gatekeepers are working with this right now (and through the SUNday Unity Meditations). Make it conscious and active. Talk to your DNA just as you do the crystalline structures within you. Feel the Divine love available, and radiate love to your DNA through the heart center. The heart contains the keys to the kingdom; the spark of Source which will receive and broadcast the Solar Cosmic Christ activations, just as Solaris receives and sends forth information and upgrades. As above, so below. The light is growing again after a period of stabilization of the grids. Get out in nature, and in the SUN, as often as possible. It may benefit you to have a long conversation with Gaia; ask her how you may assist as she takes on these higher frequencies. As I stood in Council with the Galactics last week I saw a great model of Gaia, and her etheric bands had aligned around the Equator. She was also upright (no axial tilt); she was in absolute alignment. This is what is ahead of us, Beloveds. These higher timelines are pushing us into alignment, as well as the planet. As we become capable of holding that alignment, holding that light, aligning ourselves with the higher aspects of divinity, purity and unity, we call forth the Ascension in the Now.